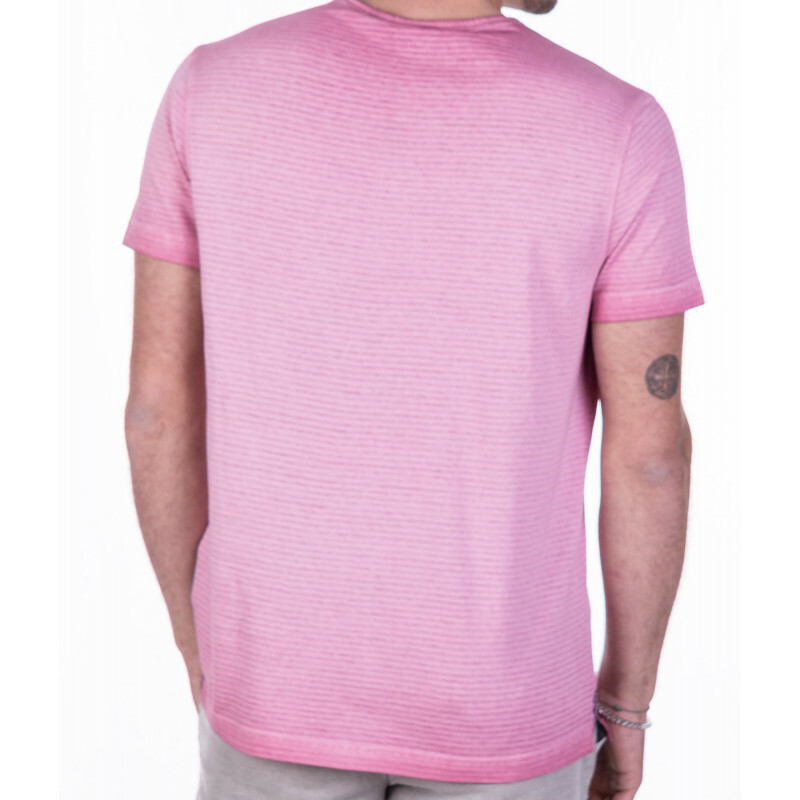 Short sleeve inside cold dyed pinstriped multi gauge jersey t-shirt made from 100% combed cotton. Crew neck. Printed fabric in inside collar and pocket piping. 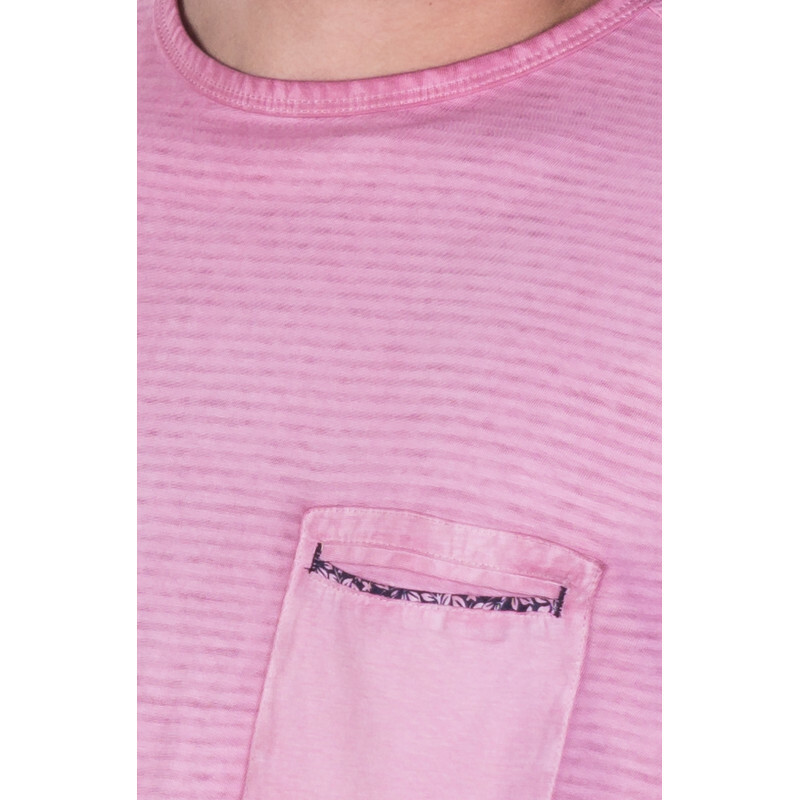 Welt pocket on chest. Slits on side hem. In Unnati we design and produce our pieces with the enthusiasm that you can enjoy them a lot of time. 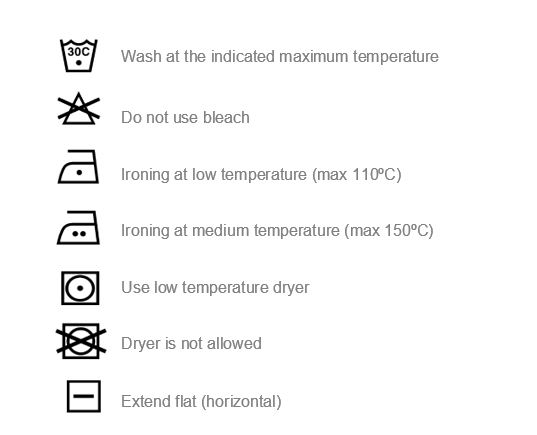 That is why we recommend that you follow the washing instructions that you will find on the composition label. Many of our pieces have been dyed using natural pigments. We advice you to wash them with very little soap and, in the event of a possible stain, we recommend to immediately put a degreasing (without rubbing) and then wash it normally. You can receive it at the address you choose (home, job, etc.). Never in a post box. The garments offered through this website are only available for shipment to SPAIN (except Canaries, Ceuta and Melilla), PORTUGAL (except Azores-Madeira), GERMANY, AUSTRIA, BELGIUM, FRANCE, NETHERLANDS, ITALY, LUXEMBOURG, UNITED KINGDOM, SWEDEN, AND TURKEY. Can the country of delivery be different from the purchase country? The country of delivery must always coincide with the country of purchase. How long will take my order to arrive? The standard delivery periods in the peninsula and the Balearic Islands are 2 to 3 business days. Shipments are managed from Monday to Friday. If the order is made on Saturdays, Sundays or holidays, it will be managed from the first operative business day. To know the transit time of international shipments, you can contact our customer service department unnati@unnatimoda.com. How much do I have to pay for shipping costs? Shipments to the peninsula balearic islands will be FREE for orders starting at 80€. International shipments will be FREE for orders starting at 150€. For lower orders, the cost will be from 19.95€ up to 49.95€ depending on the country of purchase. What is the delivery process at home? We will send you a shipping confirmation email when your order is in the hands of the carrier, with a tracking number and the link to the web so that you can verify its status.